Adore Box is a beauty and lifestyle subscription service that sends out four to ten hand-selected products in each box for a minimum of $15.00 USD. To see what came in the July box, read the article below. It’s that time of the month again for the unboxing of the July Adore Box. For those not familiar with Adore Box, it’s similar to IPSY, but it’s not limited to just beauty products. 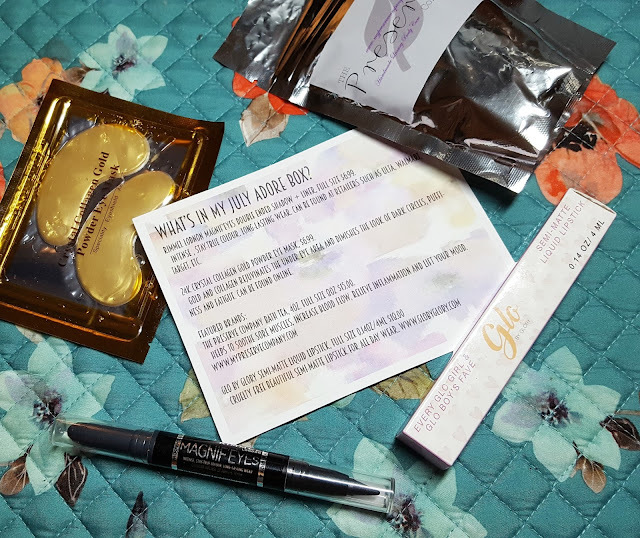 Adore Box is a beauty and lifestyle subscription service that sends out four to ten hand-selected products in each box for a minimum of $15.00 USD. 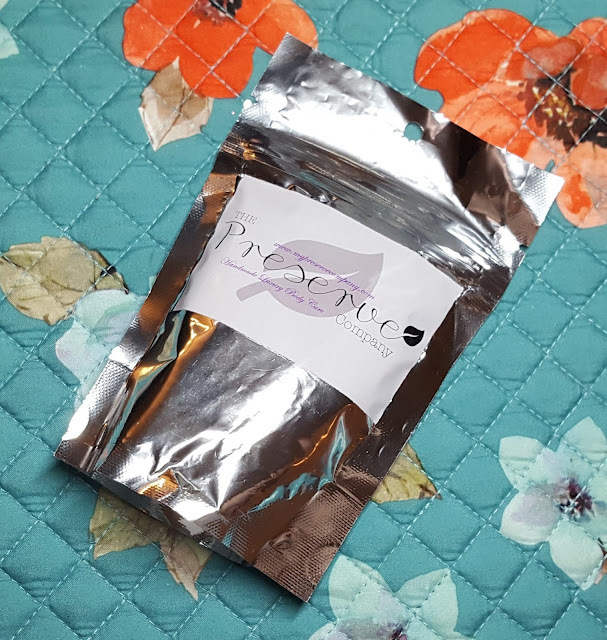 In addition to beauty products, they also include jewelry, accessories and clothing (depending on the subscription plan you choose), and edibles. You can also choose the size and frequency of your box. 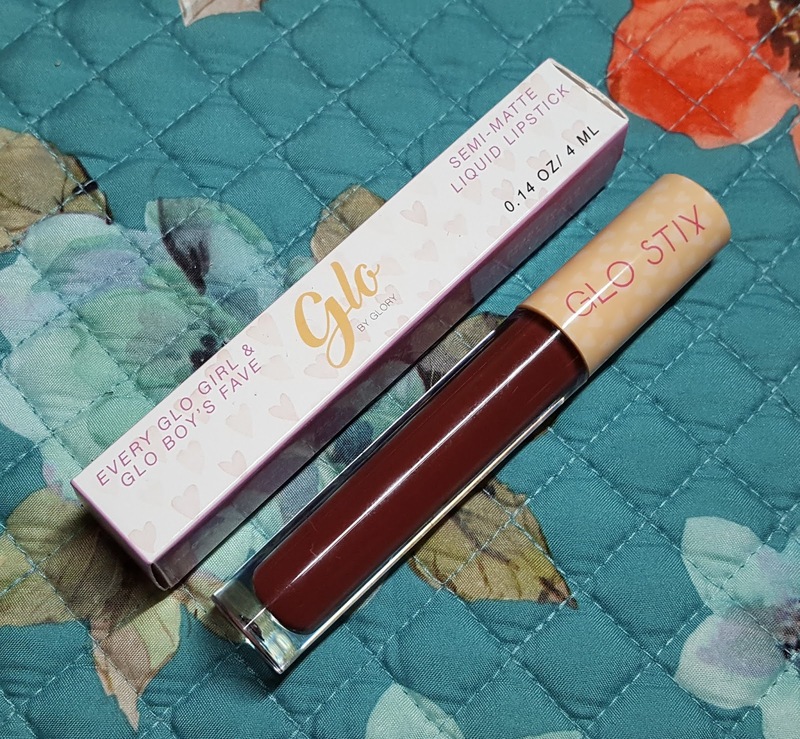 The first item is the ’Cutie Patootie’ Glo Stix Semi-Matte Liquid Lipstick from Glo By Glory. Formula-wise, it’s comfortable on the lips for long-wear and very full coverage — one application is all you need. 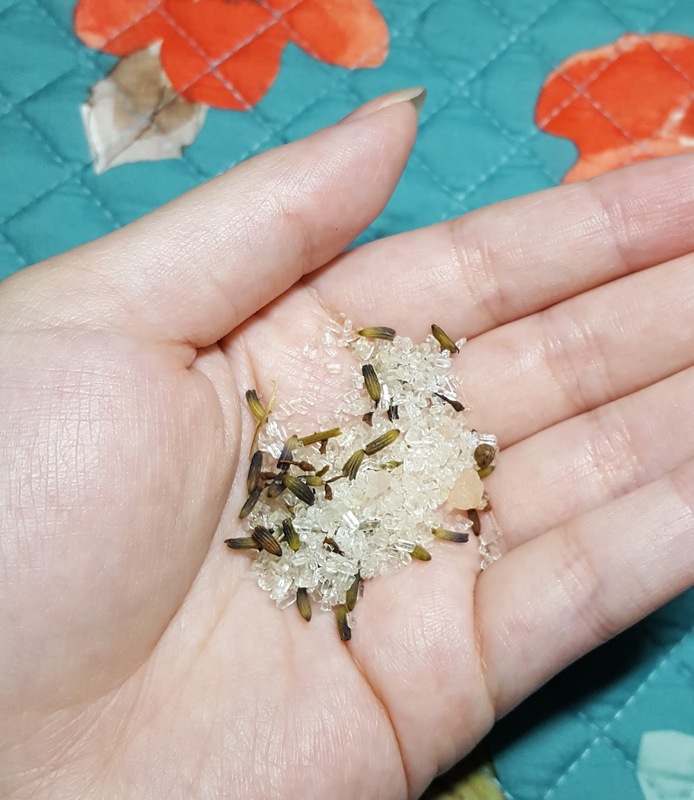 If you want to layer it, you can without it cracking or becoming gummy. Just remember to let the lipstick dry in between layers though. At first, I did find it being called a ’Semi-Matte Liquid Lipstick’ kind of confusing because it’s a liquid-to-matte formula. Awhile later, I figured it was referring to the finish as it’s matte, but not to where it’s flat. 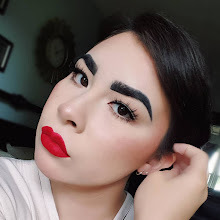 There’s just a smidge of shine to give the lips dimension. Wet swatch of Glo By Glory 'Cutie Patootie' Semi-Matte Liquid Lipstick. 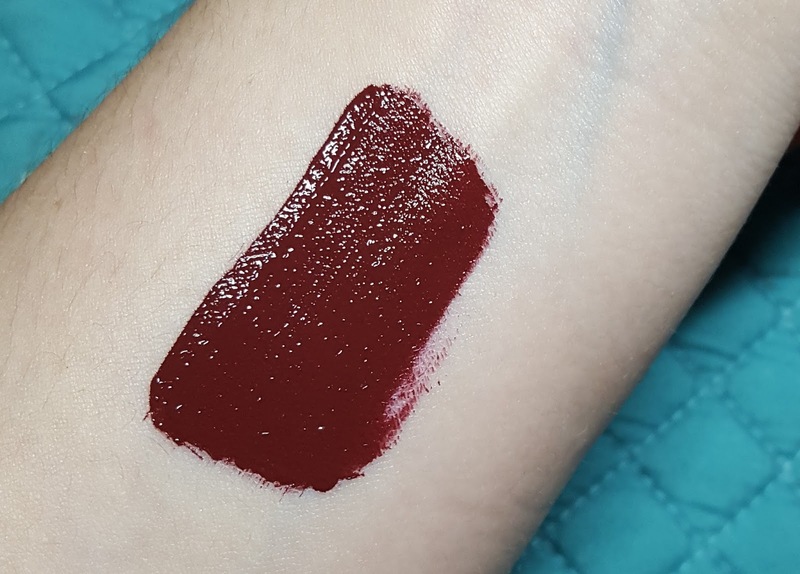 In the tube, shade Cutie Patootie is a deep red, but once dry, it can appear more brown or purple. Cutie Patootie isn’t really my cup of tea as I find it just doesn’t look good on me. The purple hue that it can take on either looks like I got beat up or the yellow in my skin neutralizes it and ends up looking brown. The second item is the ’Back to Blacks’ MAGNIF’EYES by drugstore brand, Rimmel London. 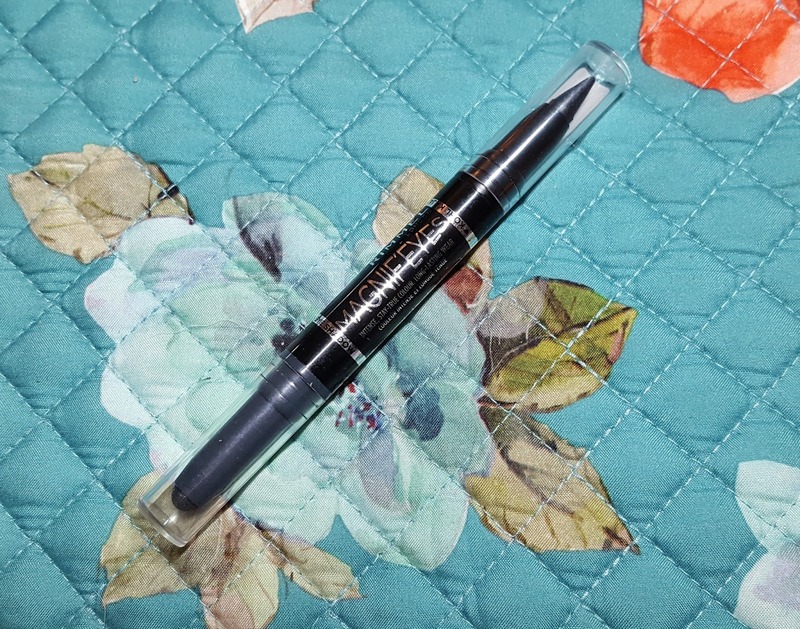 This is a double-ended eyeshadow and eyeliner stick. 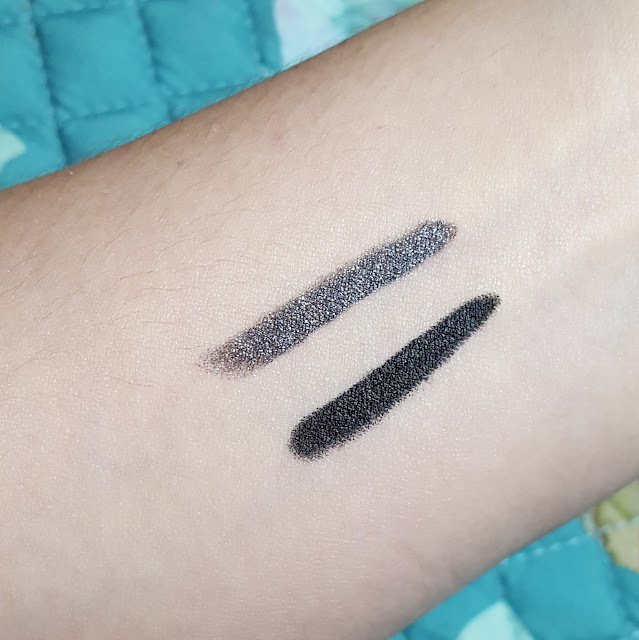 One end is a gun metal eyeshadow stick and the other is a black kohl kajal eyeliner. Swatch of Rimmel London 'Back to Blacks' MAGNIF'EYE - eyeshadow (top) & kohl kajal eyeliner (bottom). Both are pigmented and creamy with an easy glide-on formula. The eyeshadow only needs one swipe for full opacity, but if you want an intense black out of the eyeliner, it needs to be built up with an additional one or two layers. While they both do set and dry, nothing is safe from my oily lids. If you experience this problem as well, just use a good eyeshadow primer and set your work with powder to lock it in. 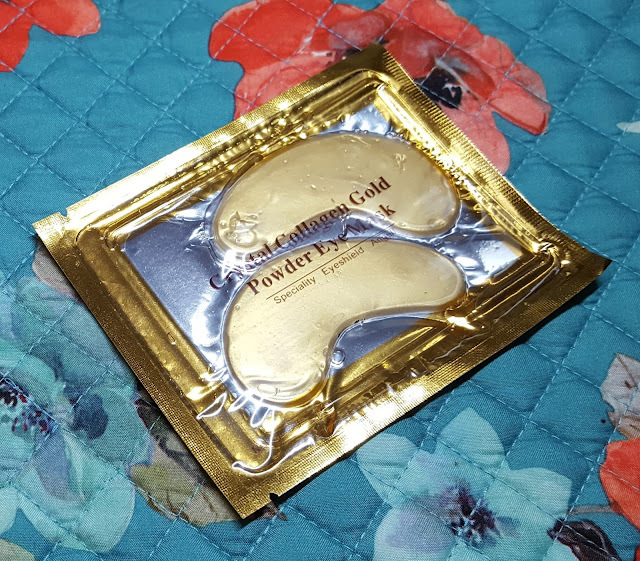 The third is the Crystal Collagen Gold Powder Eye Mask by 24K, a gold-infused collagen mask that moisturizes and rejuvenates the eye area. Recommended for all skin types, this eye mask relieves chronic fatigue and diminishes wrinkles around the eyes via activation of collagen synthesis. To use the mask, just apply it to the undereye area. Let it sit for fifteen to twenty minutes, then remove and clean the area with water. And the last item is the ’Shower Me in Flowers’ Bath Tea from The Preserve Company. 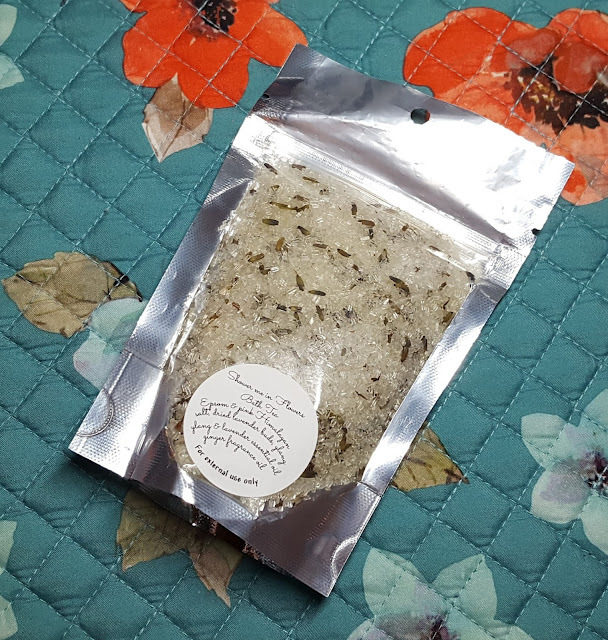 It’s a bath salt mix of epsom and pink Himalayan salt, lavender buds and essential oil, and ginger fragrance oil. This bath tea helps to soothe sore muscles, increase blood circulation, and lift your mood. I’m typically so sensitive to scented bath products that I’ll become ill when exposed to the smell. But while the bath tea does have a strong aroma (to me, anyway), I didn’t have a reaction. If you’re sensitive to smells, lavender is probably one of the few that you’re least likely to react to because of its calming and pain relieving properties. However, I’ve had reactions to lavender scented products before, so don’t take what I’m saying as a hundred percent fact.